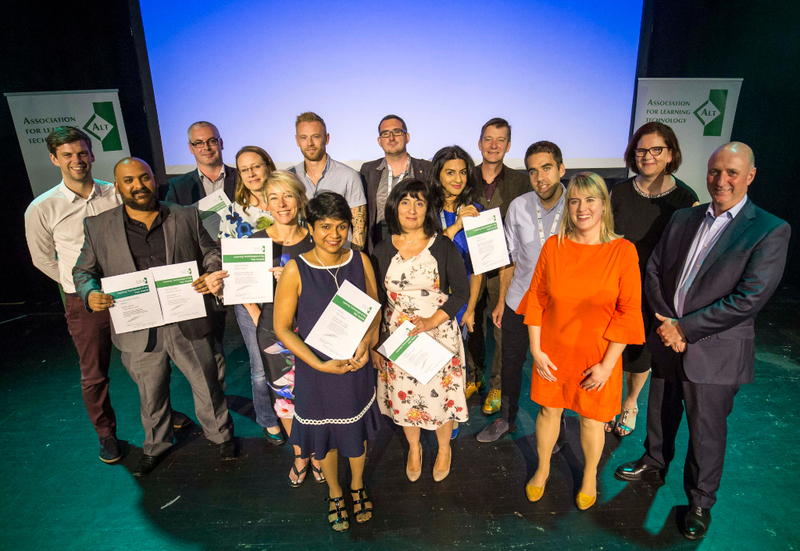 The ALT Learning Technologist of the Year Awards celebrate and reward excellent research and practice and outstanding achievement in Learning Technology. Established in 2007, the Awards have established a benchmark for outstanding achievement in Learning Technology on a national scale and attract competitive entries from the UK and internationally. All entries are reviewed by an independent judging panel chaired by the President of ALT. We gratefully acknowledge the support from our sponsors Catalyst, open course technologists, for supporting the Awards this year. All short-listed entries will be asked to supply a short video and supporting information for the public vote deciding the Community Choice Award. Voting takes place online during August. If you are looking for inspiration, have a look at the entries from last year's finalists. The Awards will be presented at the Gala Dinner of the ALT Annual Conference in September 2018 at the University of Manchester, UK. The judging panel usually makes the following awards: First, second and third prize as follows: 1st prize £1000; 2nd prize £500; 3rd prize £250. The Community Choice, voted for openly, will also be awarded at the Gala Dinner. Finalists (up to two for teams) are invited to attend the ALT Conference Gala Dinner to receive their Awards. Additional places are available to purchase. You need to complete all sections of the appropriate online entry form. Entries will be judged on the basis of the information you provide and the evidence you refer to. We acknowledge all entries via email. The closing date for entries is Monday, 18th June 2018 for all categoeries. The judging panel reviews all entries and the highest scoring entries in each category are short-listed. All entries will be notified whether they have been short-listed or not. All short-listed entries will be invited for an interview, either in person or online. Interviews usually take place over a 2 day period in July. Interviews will be 25 min long, and you will be asked to give a 10 min presentation followed by questions from the judging panel. Following the interviews all short-listed entries will be notified and Finalists invited to the Award Ceremony. Finalists will be asked to supply a short video and supporting information for the public vote deciding the Community Choice Award. The public vote takes place in August.